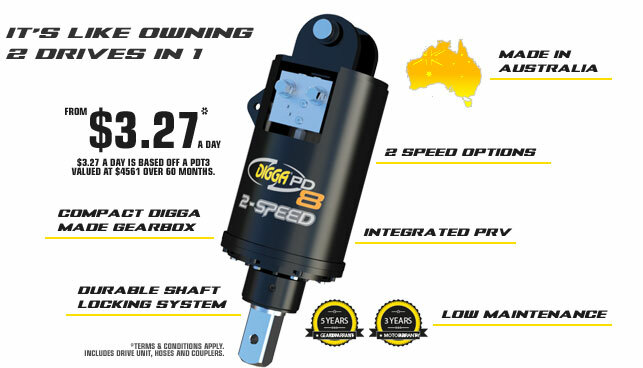 Digga's 2 speed drilling auger drives are the next generation in drilling technology. They have been designed for a wider range of applications. Offering a high speed, low torque setting for the smaller auger jobs when you need that extra RPM, and low speed, high torque for when you really need to grind out that larger diameter hole. It's like having 2 drive units in 1.